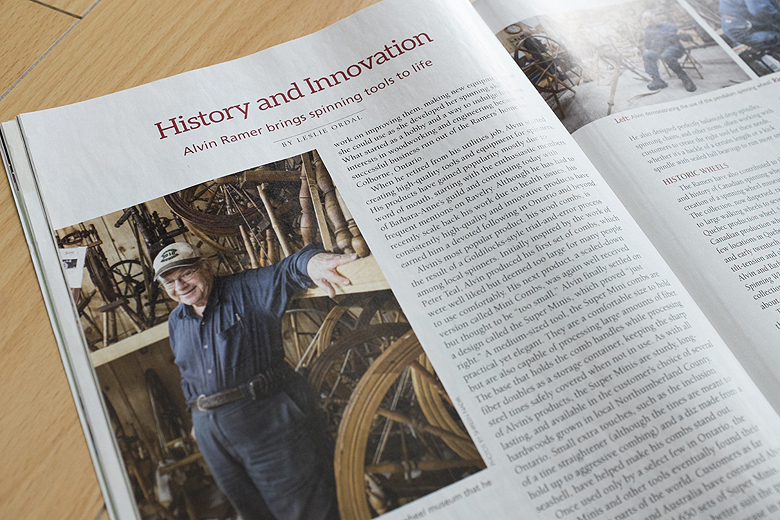 The fall edition of Spinoff Magazine is out, and if you leaf over to page 28 you’ll see an article on our friend Mr. Alvin Ramer. The article was written by Leslie, and the photography was done by me. 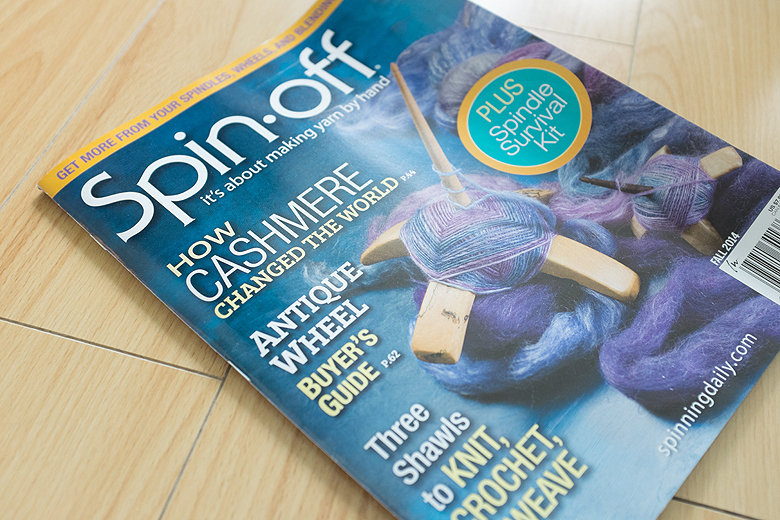 I’m proud to have some of my work published in Spinoff! If you choose to check out this edition, I can say that it’s a pretty fascinating one, including some great information on blending boards (ahem, Rayna). My favourite shot is not the one above, though I love his smile and the fact that you can see his wheel collection in the background, it’s the one below. 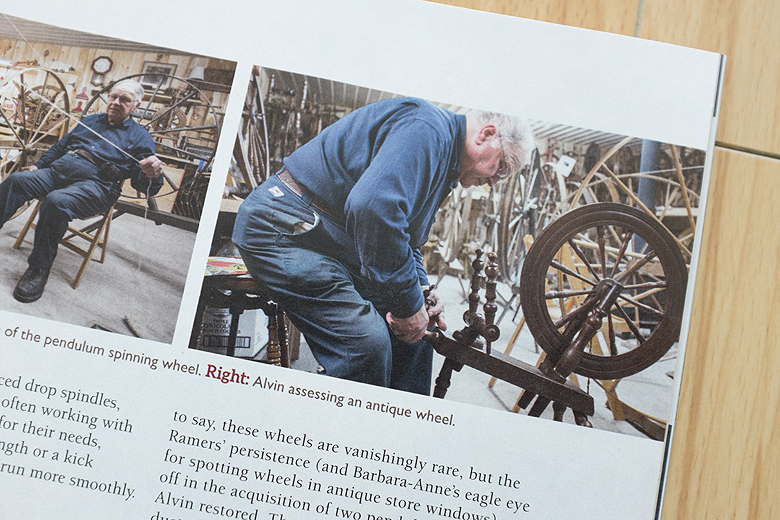 Because not only is Mr. Ramer in this one, but so is my antique wheel! The wheel that he lovingly restored for me and which is now spinning beautifully. More on that later! OMG! – You are so lucky! I’ve got an antique wheel too Shireen! (are you sure we aren’t twins?) I should take a pic of mine and send it to you! I know you are going to ask me to. As soon as I finish painting. Or – you will have to remind me – okay? Haha, you know me well! I’m totally curious now, totally send me a pic when you have a chance!